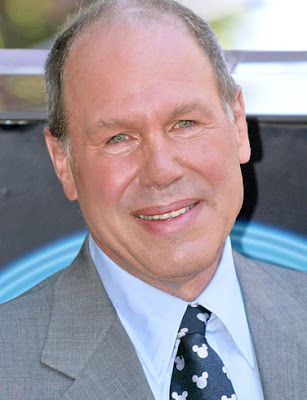 Ignoring Friction: Why Michael Eisner owns your soul!!! 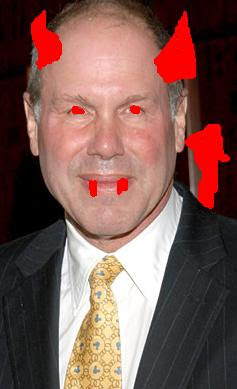 This is Michael Eisner, ex-CEO of the Disney Corporation. You may not know it yet, but this man already owns your eternal soul. Some of you may say things such as “How preposterous! How can a man I never met own a vital and completely unique part of me?” I am sad to report that it is indeed true, and I will explain to you the varying ways in which you have sold your soul to this figurative devil using two powerful concepts from the science of animal behaviorism and psychology. The Herd Mentality is a phenomenon that shows the co-operation between units of a particular group of animals. For example, consider the flying V that Canadian geese make when flying south for the winter. The head goose leads, the other geese follow. Another good example of a herd would be a school of fish, swimming around in the sea in one large group, thus appearing more menacing to predators and gaining a sense of safety (NationMaster Encyclopedia, 2006). Many animals, including humans, exhibit a herd mentality. Humans show herd mentality when social pressures from peers compel individuals to do something, or when a leader of a group of people makes a decision that people just complacently go along with (Landis, 2008). Herd mentality in humans is present in both conscious and subconscious decisions that people make every day of their lives. Rather than look at a herd of wildebeests on an African savannah, imagine instead when you were much younger, and you and your friends wanted to go out to see a movie. Your adult chaperone drives you away from those scary and vulgar R-rated movies and leads you into the theater that is showing ‘The Lion King’ or ‘The Little Mermaid.’ When you were younger, you just went with the flow, never asking questions or rebelling against your herd leader. That was where the brainwashing began, and that was the first step to you handing over that sweet, sweet soul to the clutches of Mr. Eisner. Another way that Disney has gotten to you is through the clever use of their mnemonic devices. Mnemonic devices are clever tricks that people use to enhance their short and long-term memories. There are multiple devices that can be utilized to help store things in your brain that one would not normally store. Rhyming is one of the most basic and easy methods of doing this. Acronyms, the process of taking a long title and shortening it by using letters from selected words, are also commonly used devices (ThinkQuest, 2008). Another way would be by grouping, which is splitting information into groups that often have connections with one another (ThinkQuest, 2008). One popular method of grouping is chunking, where one sees a string of information and splits it into smaller chunks. A good example of chunking is the way phone numbers are presented. Most people will write a phone number like the following: '563 123 4567'. As such it is easy to see the first group of three numbers, the second group of three numbers, and the final group of four numbers. It is harder to recognize a number when presented like the following: '56 13234 567'. This collection of numbers makes less sense, and does not show the importance that the first string does. Now how does this relate to Disney? If I came up to you humming a certain tune, and then sang M I C, and then KEY, tell me that you wouldn’t instantly think in your head the letters M O U S E. It has been drilled into our subconscious for ages, and it will be hard to forget. Also, think of the rhyme Hakuna Matata. Everyone remembers those two ridiculous words and knows that it means no worries, due to the inane song from a meercat and a warthog in one of the more well-known Disney movies. Are you scared yet? You should be.